Baby carriers come in all manner of shapes and designs these days. From the basic ‘sling’ types to the top of the range designer ones. We opted for the BabyBjörn Miracle as it offered the flexibility of carrying the baby from a newborn (facing towards you) through to around a year old (facing the world). The BabyBjörn Miracle carrier is designed to provide perfect support for babies from newborn up until 12kg (around 15 months). The carrier provides excellent back support to make the experience of carrying a baby more comfortable for the parent. From a personal point of view, the lumbar support was essential for me as I have a history of back problems. 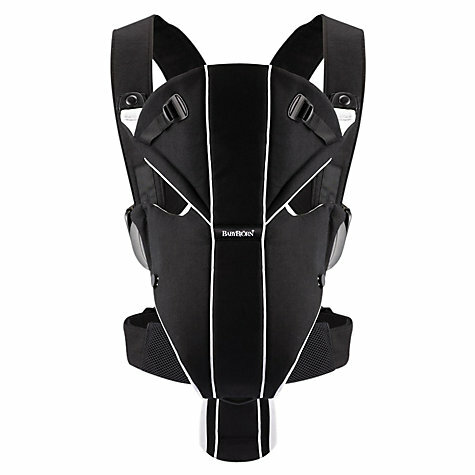 As a newborn, it’s recommended to have your baby facing towards you and the neck and head support ensures baby is snug and not flapping about with each step you take. The are straps on either side which can be adjusted to aid this, especially if you have a particularly small baby. As baby grows, the carrier can be adjusted to accommodate their body and before long, baby will be facing outwards. Our baby loved being able to ‘see the world’ (and still does) and you’ll be surprised at how many complete strangers will give you a smile as you walk past with your baby strapped on to your chest! The straps can also be adjusted to suit you and what you’re wearing, as in the summer you’ll only be wearing a t-shirt and in the winter, a whole lot more. This also has its downsides if, like me, you have a wife/partner much slimmer than yourself, as you constantly have to re-adjust the straps to make it fit you once again. A minor point. 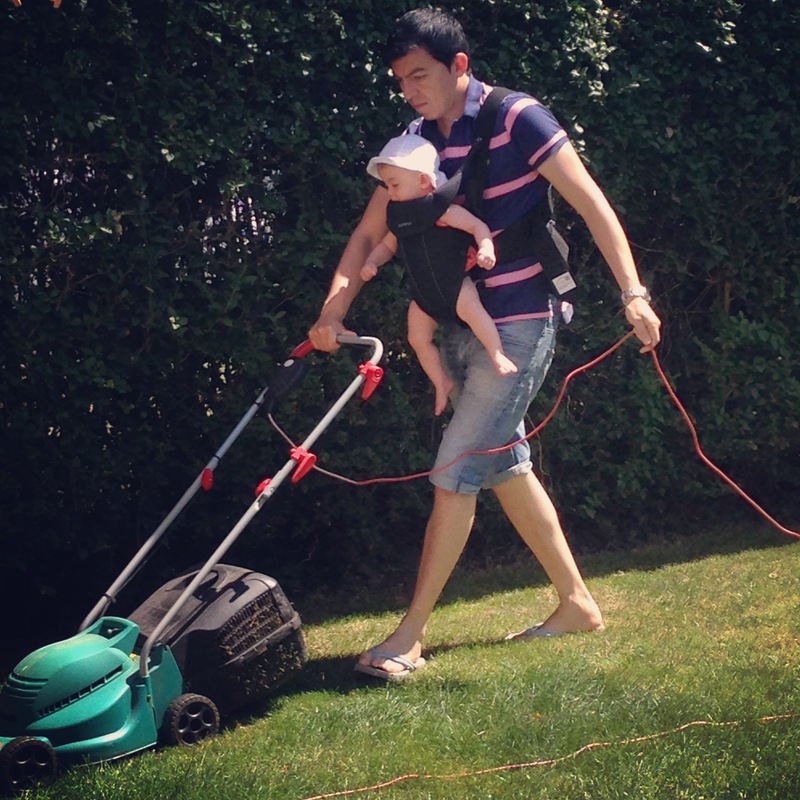 As with anything baby related, there are always pros and cons; for me the top of the ‘pros’ list is the flexibility it offers in terms of having both hands free to do things around the house or outdoors (see pic below). On the ‘cons’ side, it’s probably the price starting at a tidy £76.99 (other versions go up to £99.99). Although if you’re happy to go ‘previously loved’, many a bargain price can be found on the likes of eBay. The other little niggle I have is that once baby is a little older and facing forwards, the neck support folds down (so that it’s now under their chin). However, if your child is anything like mine, they soon work out that they can flip it up, ultimately becoming a kind of visor which renders them incapable of seeing anything. There should be some sort of press-stud or button to keep this in the folded down position. On a personal note, when in this position, your testicles tend to get a good bashing by over excited feet. 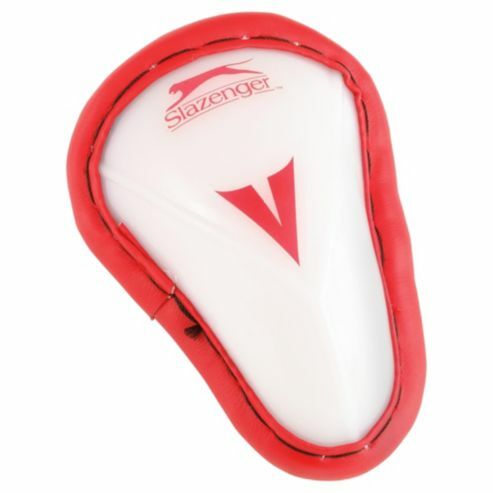 Perhaps they should supply a cricket box with all carriers for men as an upgrade? All in all, we’ve used our BabyBjörn pretty much every day for the last 10 months and it’s still going strong, only the colour has faded a little from being machine washed a few times. As our little one approaches her first birthday, I’m already researching the next stage in baby carriage – the backpack child carrier. Watch this space! I give this four out of a possible five only because of the fact that the neck support can’t be kept in the folded down position when you have baby facing forward.